From our central Mediterranean location on marina di Rimini we offer an unparalleled depth of experience, primarily in new and used boat sales, yacht management, refitting and delivery services. 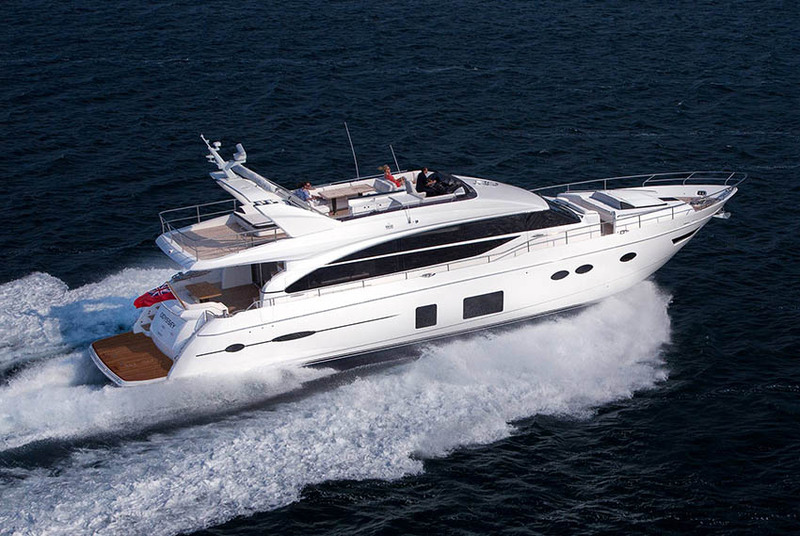 We are also a Princess Yachts dealer for the Eastern Adriatic coast. Our list of boats for sale always has approximately 30 boats, often with new and used boats. The boats that we represent are from private sellers and through good relationships with some of Europe's leading shipyards, brokers, dealers, leasing companies and financial establishments. Together matt and I (Gianmaria) travel across Europe personally inspecting and photographing the used boats that we offer for sale. This provides us with a detailed insight into the physical condition of each boat. Matt photographs the boats in an extensive and representative style then lists them in a format that gives our buyers a clear impression of the overall condition. We keep the technical specifications, as well as each inventory as accurate and up to date as possible. Primarily matt photographs all of our new and used boats, lists & manages them on the web, and answers all client technical questions & general enquiries. I, Gianmaria, negotiate, co-ordinate and complete all of the new princess yachts and used boat sales. THROUGH OUR PRINCIPAL PRINCESS YACHTS PARTNER, EQUIPE MARINE WE ARE ABLE TO OFFER AN UNRIVALLED SERVICE FOR ALL OF OUR NEW BOAT CUSTOMERS ON THE EASTERN ADRIATIC COAST. With vast experience in worldwide boat delivery, together both matt and i can oversee a complete transport solution for your new boat. During the last twenty years we have established productive relationships with a number of renowned and highly regarded boat transport companies, shippers, customs agents and logistic experts.